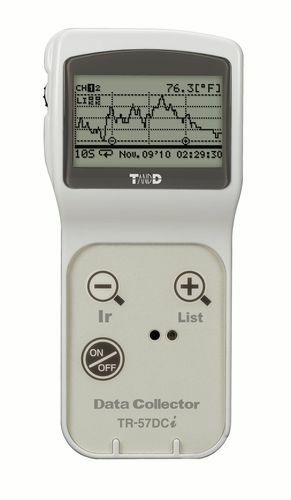 The TR-57DCi is primarily a Data Collector designed to collect recorded data from data loggers such as T&D Thermo Recorders and Voltage Recorders. It also assists in gathering and checking recorded data, at ease, on the spot, eliminating manual gathering of data from various data loggers. 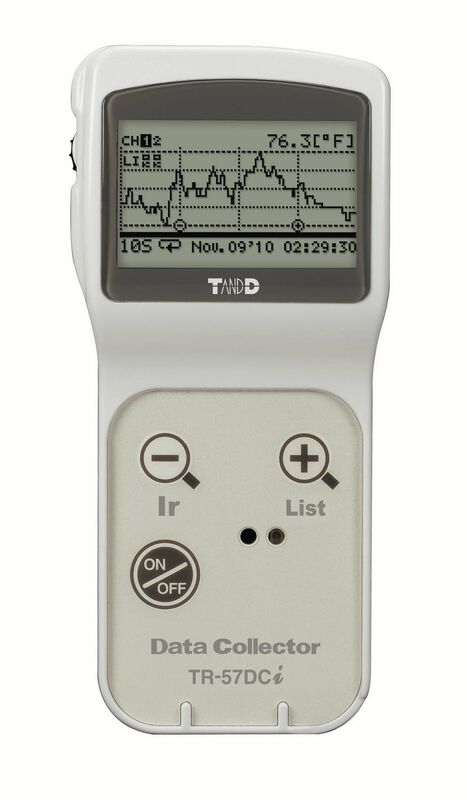 It features recording settings such as Recording Interval and Recording Start which can be used to direct data from the TR-57DCi into any logger. One of the distinct advantages of the TR-57DCi is its compatibility with versatile devices such as the TR-5i Series (Infrared Communication Type), TR-5S/5 Series, RTR-500/5 Series, TR-7Ui/7U/7S Series, and VR-71 Data Loggers. Communication methods between TR-57DCi and Compatible Data Loggers depend upon the type of Data Logger. In case of Infrared Communication, it is advisable to place the infrared port of TR-57DCi Data Collector and TR-7Ui Series or TR-5i Series Data Loggers face-to-face. Infrared Communication makes it possible to download recorded data. In the consideration of either Optical Communication or Cable Communication requires a large storage capacity going up to 256,000 readings.